The disease ‘Coccidiosis‘ is caused by parasitic Protozoa. Most coccidia in poultry belong to the genus Eimeria. It is common worldwide, but is especially prevalent in warm, humid climates or after periods of rain. More common in younger or growing birds, there are many strains and birds can be affected by different strains at the same time, or in succession. Coccidia causes disease in chickens, turkeys, geese and ducks where they develop in the intestinal tissues. How do chicken’s catch it, and how is it spread? 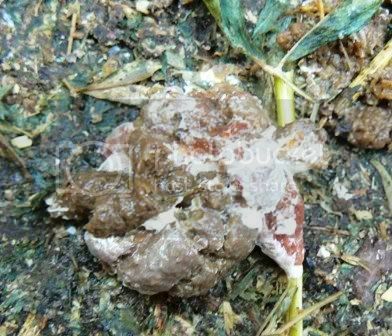 There are two main types of Coccidiosis – Intestinal Coccidiosis and Cecal Coccidiosis. In the intestinal version the intestinal tract is affected by the Eimeria, and in the Cecal version, the cecum is affected. Coccidia have two main phases in their life cycle; one phase occurs outside the host and involves the development of the infective stages (oocysts), and the major phase which occurs within the host and involves massive multiplication and sexual reproduction. Birds ingest a number of oocysts and become infected. The severity of the infection depends on the numbers that they are host to. At a low dose the immune systems responds to the challenge and deals with the infection. When birds ingest too many they can develop visible symptoms and if the disease is unchecked it can kill them. 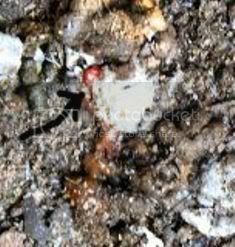 The disease is spread by droppings of infected birds (including wild birds). It can be spread by chickens coming into contact with contaminated equipment, feed containers, feet of humans and wild birds etc as well as being contained in the soil. If your chicken is sick and miserable, not active/eating/drinking, has blood in their poo and exhibits other symptoms as listed above it is often safe to assume they have coccidiosis. Chickens can be officially diagnosed by a veteranian who is familiar with poultry diseases or an avian specialist vet (if you are willing to pay for a consultation) by investigating flock history, conducting a postmortem and examining the findings, and/or a faecal test to check for the presence of oocysts in faecal specimen. 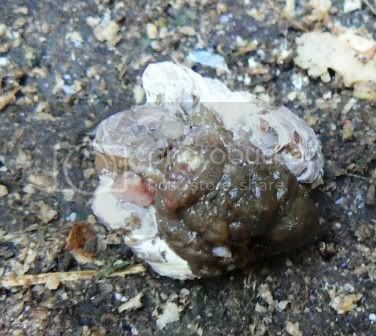 Treat urgently with a medication for Coccidiosis according to directions – even though this is a common disease it can be fatal (this depends on the damage done to the chicken by the oocyts). Try to raise chicks on clean dry litter and avoid crowded or damp conditions. Make sure drinkers are not spilling water into the litter. Make sure water and feed is uncontaminated by droppings. Use medicated chick starter or grower. Ensure that chicks are warmly housed out of draughts. In severe cases raising chicks on a wire grill can reduce ingestion of the oocysts and help recovery. In severe cases, reducing the protein level in the feed can also be of assistance. Monitor droppings during and after treatment. 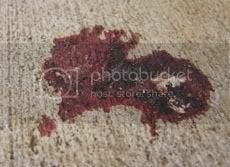 Often morning droppings can show blood, even if the day is normal. Putting newspaper under perches or on brooder floors can make the droppings easier to see. Follow treatment with a vitamin supplement (especially A and K) is recommended and chickens affected by coccidiosis can take a few weeks to fully recover from their infection. Survivors of one strain may become infected with a different strain and require further treatment. Survivors of severe infections may never be productive. Anticoccidial drugs fall into two categories – coccidiostats and coccidiocides. Medications are either coccidicidal (cidal), which means they kill the parasite, or coccidiostatic (static), which do not kill the parasites, but arrest their development. Coccidiostats are given in the feed to prevent severe outbreaks of the disease – and being an additive is often referred to as a ‘vaccine’ but definately isn’t as there are significant differences between this and poultry vaccines. The coccidiostat doesn’t actively kill the coccidia, it simply interrupts the breeding cycle and they can’t multiply into large numbers. The coccidiostat can be included in starter and grower crumbles and can be seen on the label. Old or poorly mixed feed may not be reliable as a preventive. Medications that are given to treat coccidiosis (therapeutic therapy) are coccidiocides. They actively kill the protozoa. Sulphaquin and Baycox would fall into this category. These drugs are usually given in the drinking water. The chickens must ingest enough of the coccidiocide to be effective. 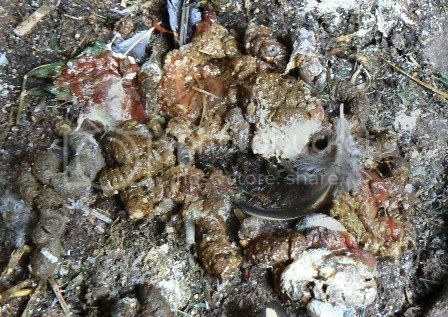 Early treatment is very important because the coccidiocide must kill the coccidia within the bird before irrepairable damage is done to the intestines. Thee are also some medications that can act as both a coccidiostat and a coccidiocide. The dosage rates of coccidiocides are carefully balanced to kill enough of the coccidia to save the bird, yet still enable immunity to develop. Overdosing can be toxic to the birds, so in treating for coccidiosis more is not better. Treatment needs to take place urgently once symptoms are seen as a bird can die within a couple of days in severe cases. Amprolium (Nil withholding period and sold in Our Shop). Commercial vaccines consist of low doses of live, sporulated oocysts of the various coccidial species administered at low doses to day-old chicks. These are not widely used among backyarders due to difficulty in obtaining the vaccine, and the fact that good management makes it unnecessary. There has recently been the development of a coccidiosis vaccine by Bioproperties (in Ringwood, Melbourne) that is administered by eye dropper and available for purchase by hobby breeders. What makes this vaccine so exciting is that it is able to be stored in a domestic fridge between doses, which allows for the vaccine to be used in full instead of discarded after the initial dosing (which is routine for a majority of other vaccines). Birds of any age can be susceptible to coccidiosis, although in practice, most acquire infection in the first few weeks of life and this infection induces a good immunity. In most situations this persists for life because of frequent low-grade re-exposure to infection, but in the absence of infection, immunity may wane. Immunity is species specific. So, for example, immunity to Emeria Maxima does not confer resistance to E. tenella and so on. Immunity is best engendered by repeated exposure to low numbers of oocysts, so-called ‘trickle’ infection, and this is what usually takes place naturally. The severity of the disease is dependent on both the species of Eimeria and the size of the infecting dose of oocysts. It is impossible to produce a coccidia-free environment under normal conditions and chicks will quickly become infected. Usually immunity will be acquired without clinical disease occurring, oocyst output will be reduced and litter occyst populations fall rapidly. However if the balance is disturbed by factors which favour the parasite, such as an initial high degree of environmental contamination and/or ideal sporulation conditions (e.g. 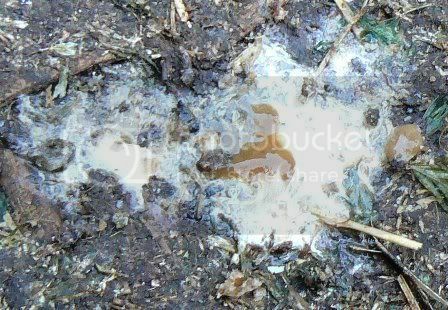 wet litter) pathogenic numbers of infective oocysts will be ingested by non-immune birds and disease will result. 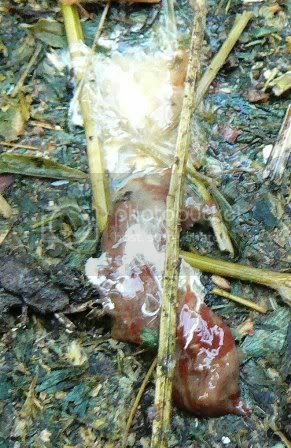 It’s typical to see this with chicks on litter at about 3-6 weeks of age. The above information and images have been sourced from the Good Samaritan Centre (Backyard Poultry website) and reproduced with permission by the author (chicken07). The accuracy of the information above has also been confirmed by Dr. Colin Walker (Avian Specialist Vet). 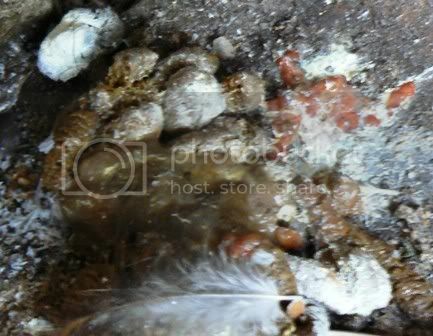 These poops are from a group of 12 week old birds with a case of coccidiosis.